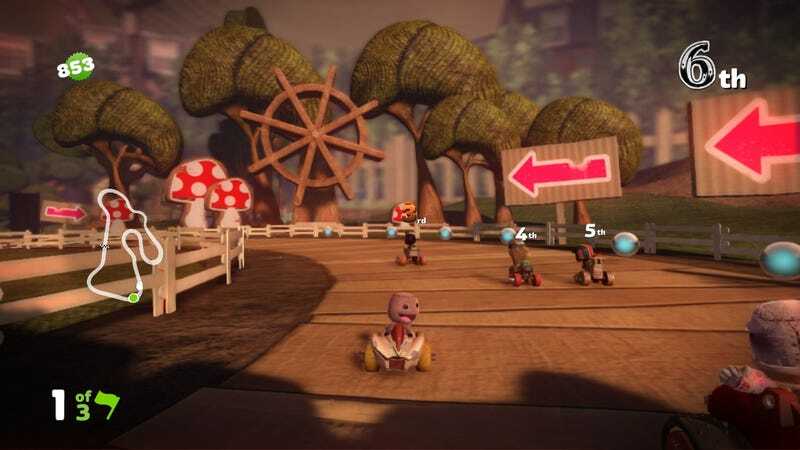 The closed beta for LittleBigPlanet's racing spinoff, LittleBigPlanet Karting begins on Tuesday, with codes and invitations going out very soon to the anointed participants. If you haven't yet signed up, fear not—codes will be distributed during the entire beta period, which lasts July 10 to July 31. You can register here, but the only way you'll hear anything back from Sony is if you're chosen. So be sure to check your spam box and adjust your filters accordingly.